Duck Dynasty ’s Si Robertson can talk to animals in new Clayton Homes commercial. Leave it to Si to finally get down to the bottom of what exactly the fox says, says Clayton Homes. 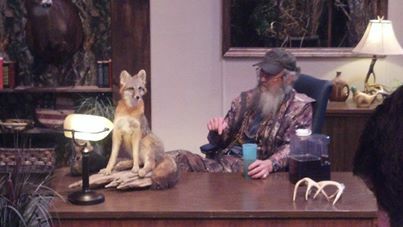 According to Si Robertson, the fox says that Clayton Homes will Max Your Tax Refund! Clayton Homes offers up to $8000 back to use as you choose if you buy a new home before March 31, 2014.